It doesn’t get much cuter than cats shoving themselves into tiny spaces. Am I right? 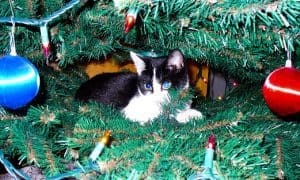 VIDEO: Watch This Cat Try to Destroy Christmas! 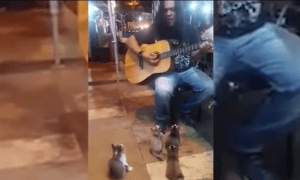 Street Performer Has the Most Adorable Audience Ever! Just when this dog-eat-dog world has handed you all the poop you can take, it's time to walk the dog. Or wash the dog. Or feed the dog. You get the idea. 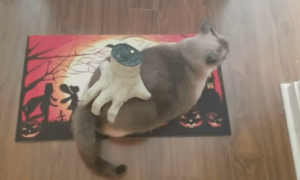 So welcome to the world of easy-to-care-for cats. Entertainment comes bundled in a furry, huggable, self-cleaning cat who won't beg for your food. In his eyes, you don't eat well enough anyway. Just keep a laser pen handy, sit back and wait for the fun to begin! Cats...ya gotta love 'em. Copyright © 2016 Catington Post. 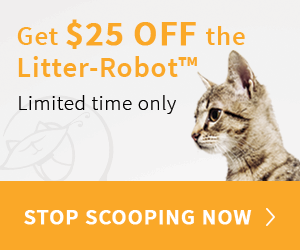 Join our mailing list to receive the latest cat news, recalls, and kitty contests!